For over a thousand years, buy cialis the monasteries in Spiti have withstood harsh environments of a high altitude cold desert without losing their charm. 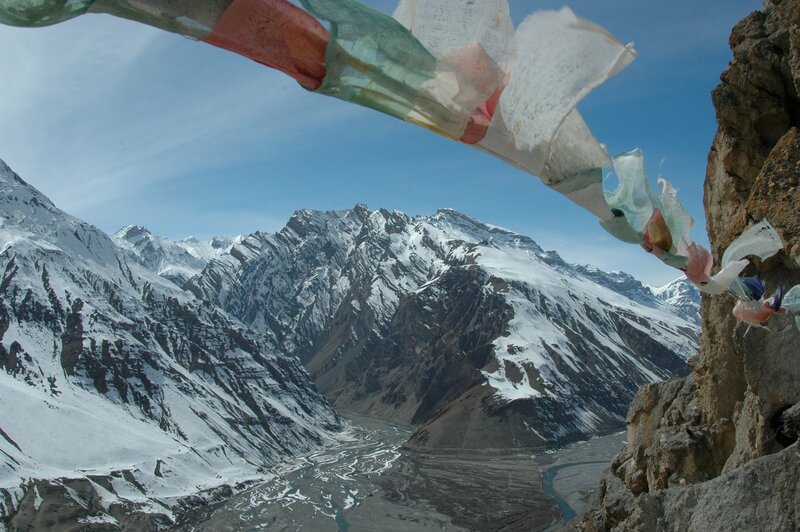 The Spiti Valley in the western Himalayan region is considered to be an unbroken tradition of a sheltered religion, where the study and growth of Tibetan Buddhism still attracts scholars, pilgrims and those seeking inner peace in the Himalayas. With more than 30 monasteries located in this remote valley stretch, Spiti is home to some of the most ancient monasteries in the world. Most of them are located along the drainage basin of the River Spiti and belong to the Gelugpa order (yellow hat) of Tibetan Buddhism, with the most prominent proponent of the order being the Dalai Lama himself. Monasteries of Sakyapa and Nyingmpa order (both belong to the red hat order) are also peacefully nestled the valley but they are not as numerous as the Gelugpa order. 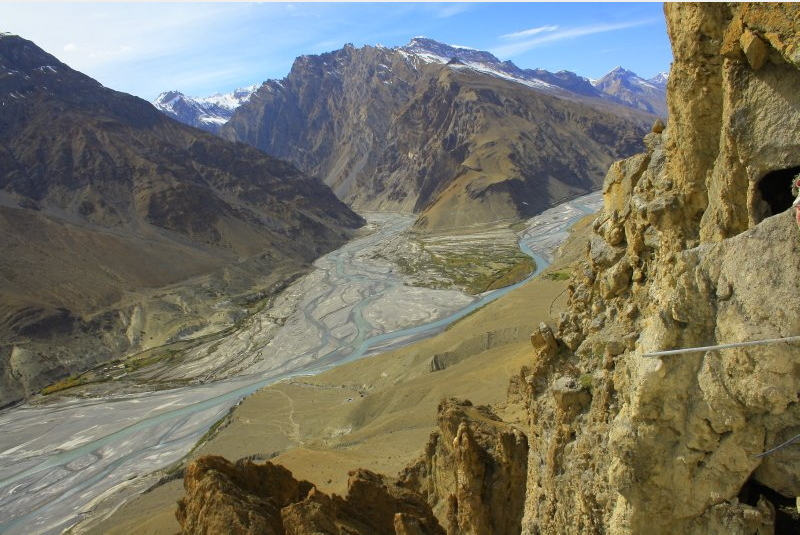 Starting out on eastern slopes of Kunzam range, Spiti River snakes its way through a flat valley bordered by vertical cliffs, winding its 130 Km way through interlocked spurs and deep gorges before it drains into Satluj River at Khabo. 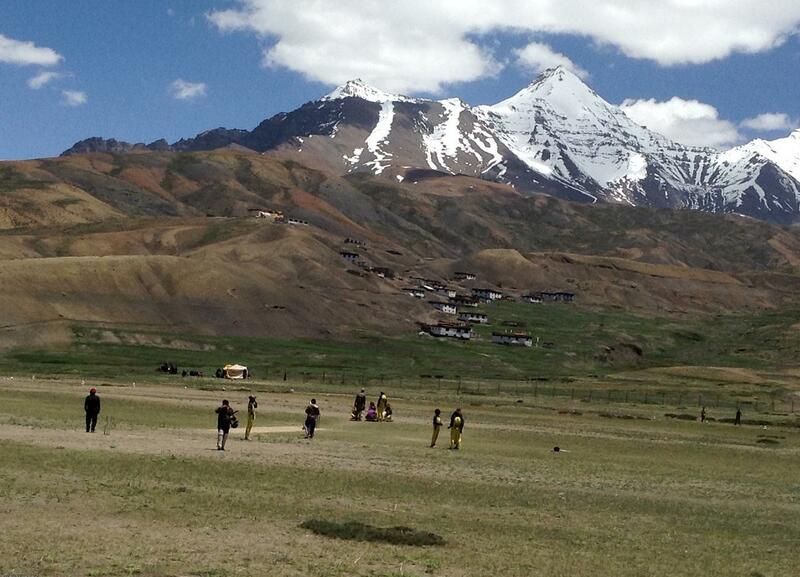 Pin, which is about 50 Kms in length, happens to be Spiti’s largest left bank tributary. 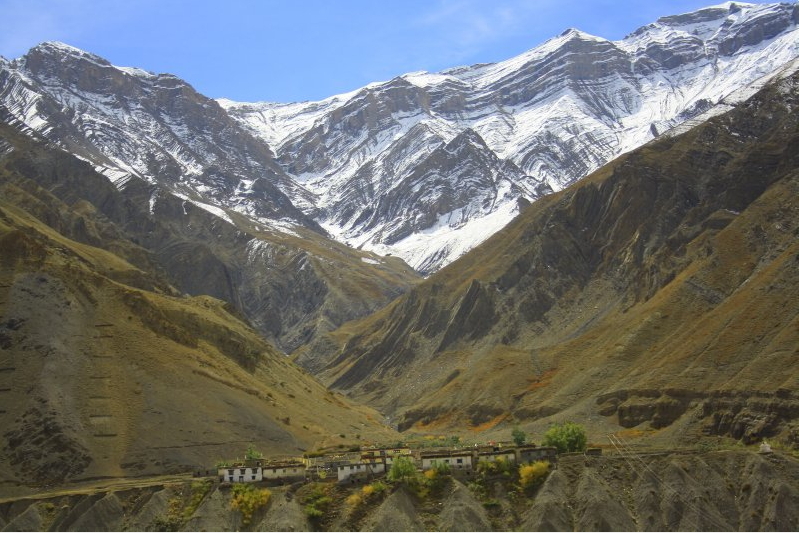 Starting from Lasuma Mountain in the Srikand Range, Pin River shelters some fertile patches that have been inhabited for long but the river does cut a deep Pin gorge that is several kilometers long with rocky chasms exposed. 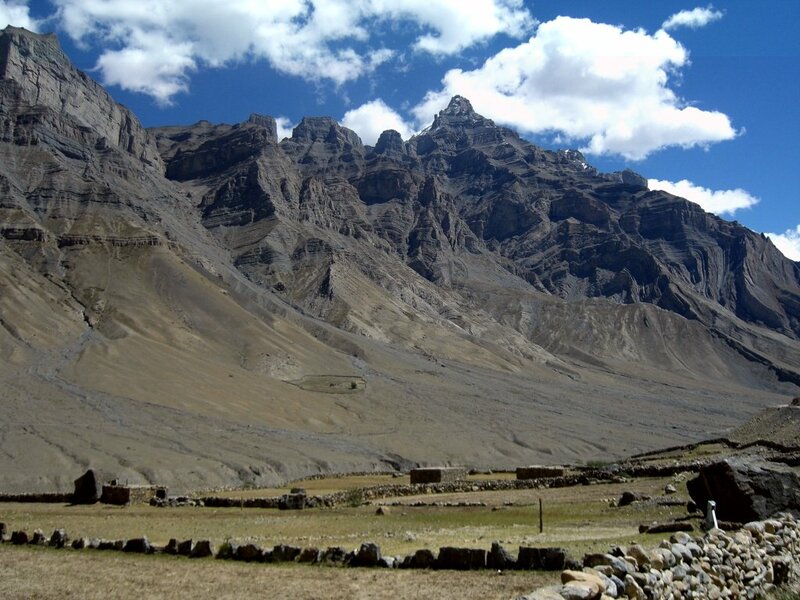 There are seven monasteries in Pin valley and Pin monastery, also known as the Kungri, is the largest among them. 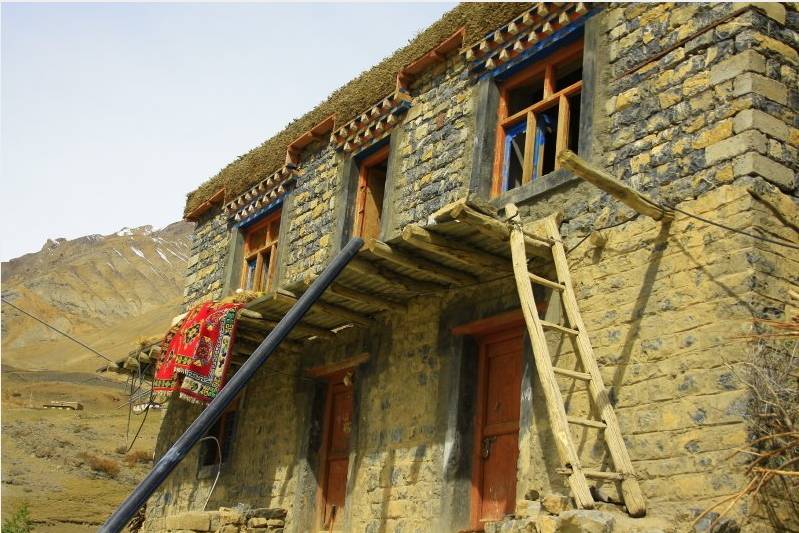 It also happens to be the second oldest monastery of Spiti. 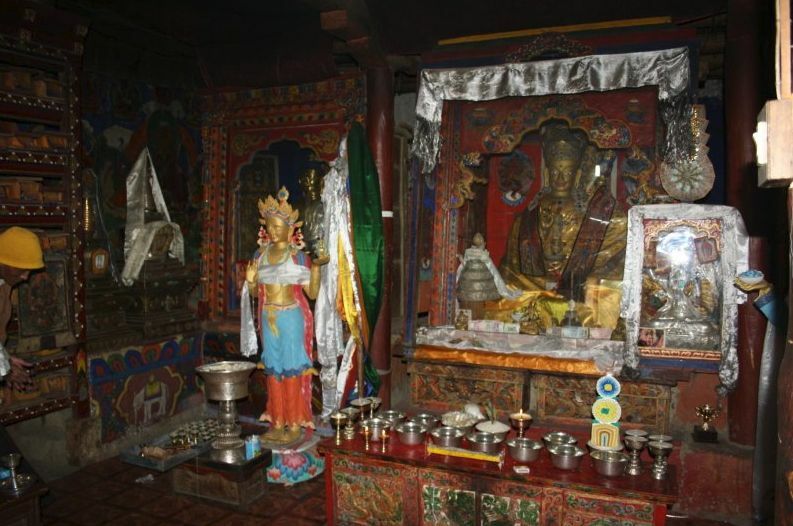 Most of the monasteries in this valley belong to the Nyingmpa (Old School) tradition, which was established by Padmasambhava, the great Buddhist scholar credited with having spread Buddhism to Tibet. 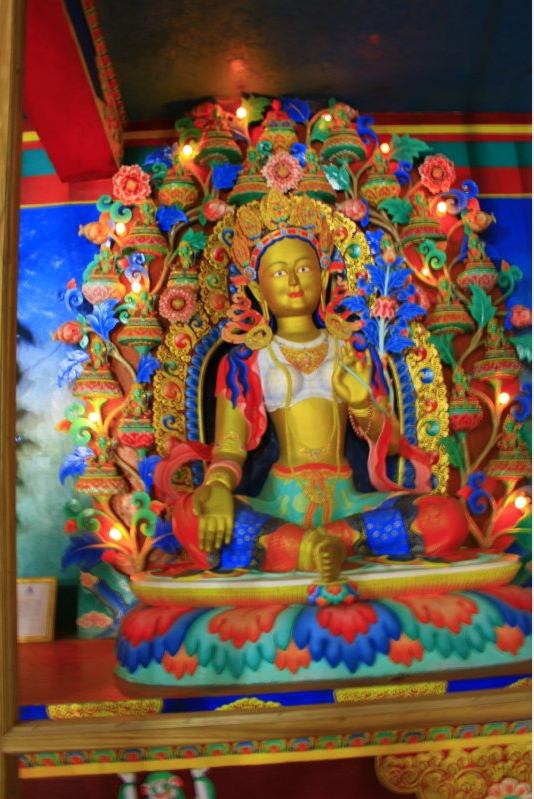 The Kungri (Pin) Monastery is said to have been founded by Padmasambhava himself. 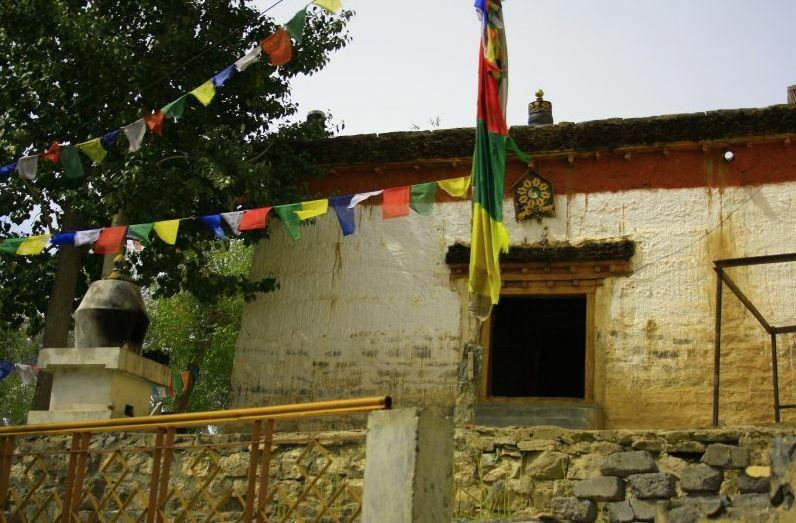 The Kungri Gompa (monastery) dates back to the 14th century AD. 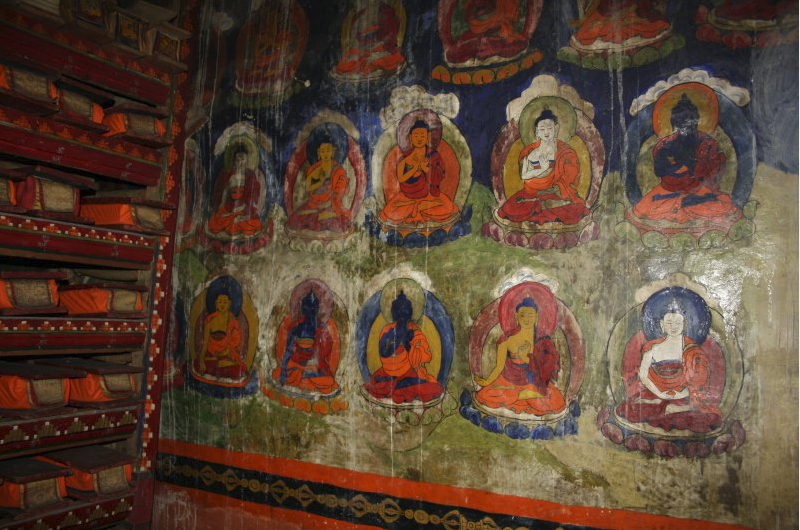 The monastery has many Boddhisatvas (Buddhist deities) frescos painted on its walls; it is repository of a large collection of tanka paintings on silk, many sacred Tibetan texts and large statues, depicting the Tantric beliefs of Tibetan Buddhism. The sacred texts are kept preserved in a white muslin cloth. Among the texts preserved are Kangyur (“The Translation of the Word”) and Tengyur (“The Translations of Teachings”) which together form the basis of Tibetan Buddhist Canon. The monastery design separates it from the other Western Himalayan monasteries, which are more compact in their layout. Pin monastery consists of three rectangular blocks, all of which face east. The murals on the monastery walls still bear the scars of destruction that an invading Sikh militia inflicted in the 19th century. 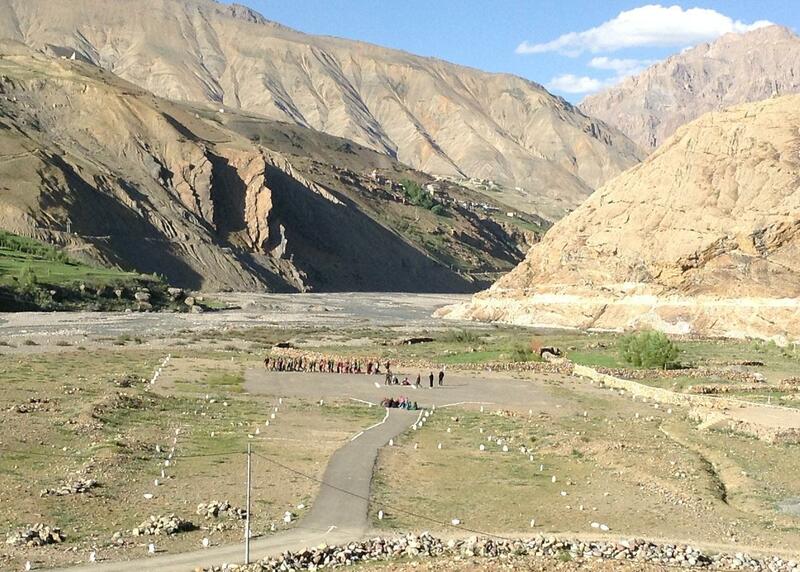 Being the main center for Nyingmpa sect in Spiti, there are a large number of monks at Kungri. These monks are easily distinguished from monks of other sects by their unshaven heads. These monks at Pin are allowed to have wives and children, but their families are not permitted to stay in the monastery. The eldest son of these monks becomes a buzhen (wandering monk). Religious dances especially the Devil Dance held in July is a great attraction. Buzhens (wandering) monks of nearby Mud village who perform the sword dance are the only ones in the valley who wield and use weapons. 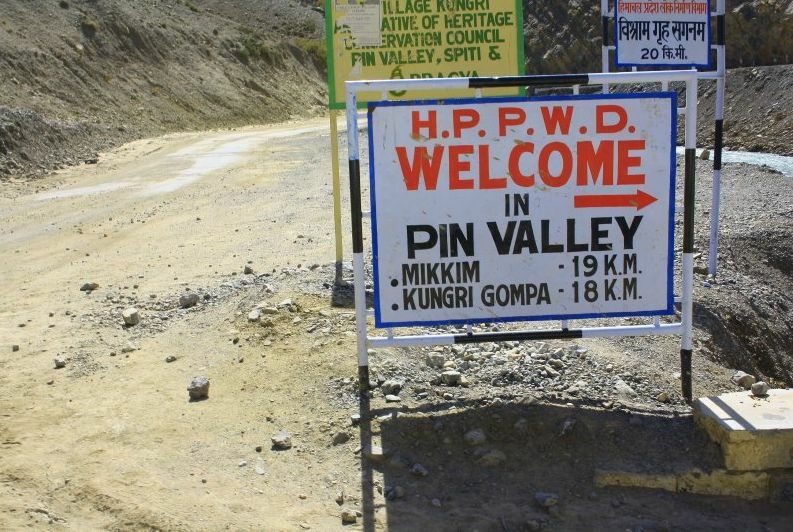 Pin valley is easily accessible from a forking road starting at the confluence of Pin River with Spiti. 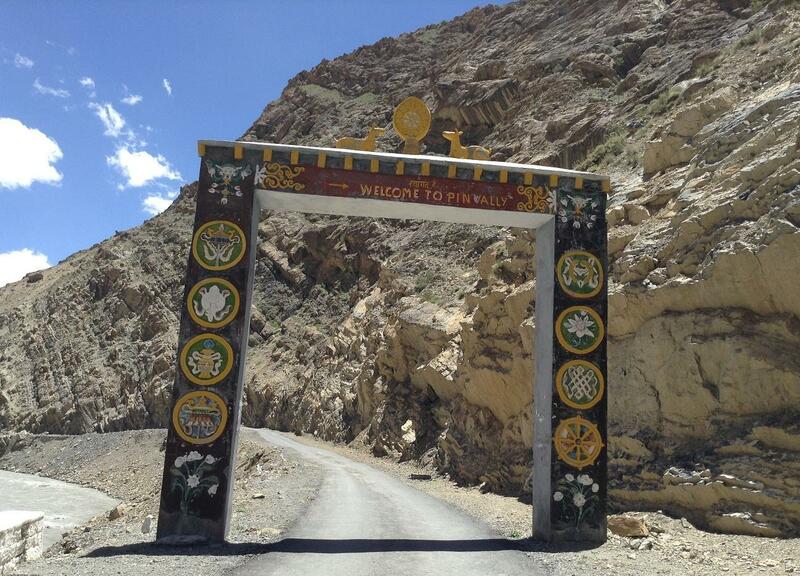 It can be reached from Tabo monastery (12Kms) or Kaza (32 Km), the administrative headquarter of the valley. May to September is a good time to visit the scenic valley.